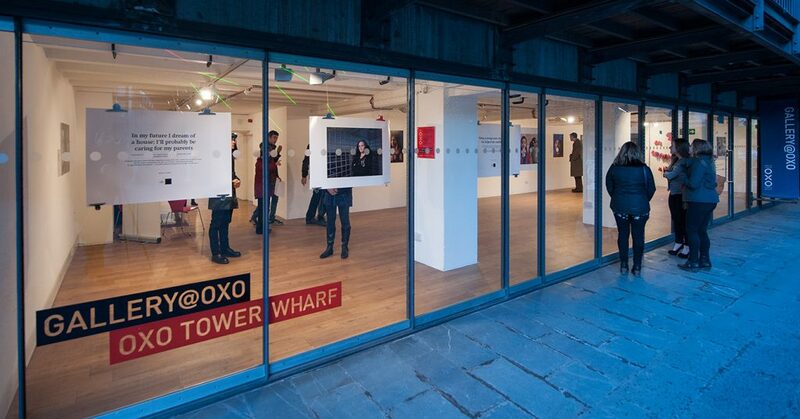 This is my Hidden portrait exhibition, about England’s young carers, for The Children’s Society, showing at the Oxo Gallery on London’s Southbank. 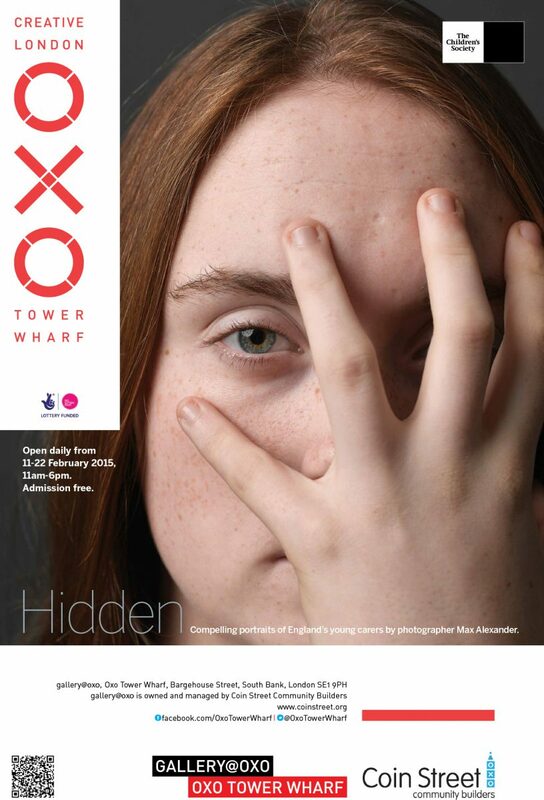 Hidden tells the story of some of the 166,000 young carers in England, through a collection of compelling portraits, captured by award-winning photographer and former young carer Max Alexander. Part of The Big Lottery funded Young Carers in Focus programme (YCiF), the exhibition, led by The Children’s Society, explores the challenges young carers face, as well as capturing their resilience, determination and dreams for the future. The exhibition provides a rare and compelling insight into the responsibility of providing physical, emotional and practical care for a loved one, highlighting the pressure on a person’s well-being and education. The Children’s Society produced this booklet for the Hidden exhibition. YCiF will be supporting young carers themselves to help curate the exhibition. You can take a look at my gallery here. This is a BBC article about my Illuminating Atoms exhibition. To reveal the structure of molecules, scientists use a process called X-ray crystallography. Now a photographer has captured images featuring details of the technique, illuminating the structure of matter itself. The world of science and art merging is nothing new, but crystallography is seen by some as an art form in itself. That’s why photographer Max Alexander was brought on board – to capture the beauty of crystals and to profile the scientists behind the work. He had previously produced an exhibition at the Royal Albert Hall called Explorers of the Universe. Now as part of the International Year of Crystallography, soon drawing to an end, Mr Alexander has gone from the very large to focussing on the importance of the extremely small. 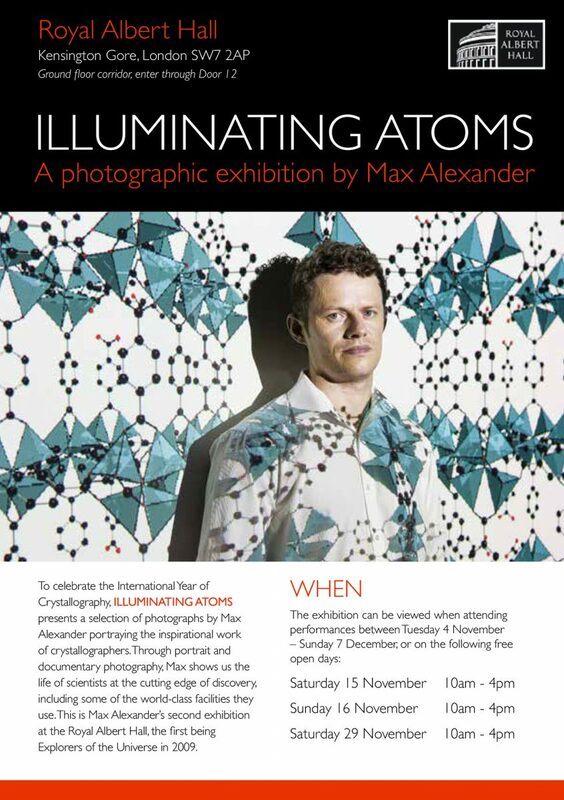 His new exhibition, Illuminating Atoms, presents the work of crystallographers through portrait and documentary photography. It is part of a long-standing tradition at the Royal Albert Hall of showcasing and promoting cutting-edge science, first introduced by Prince Albert’s Great Exhibition of 1851. Ever since, this cultural hub of London has been known as “Albertopolis”. 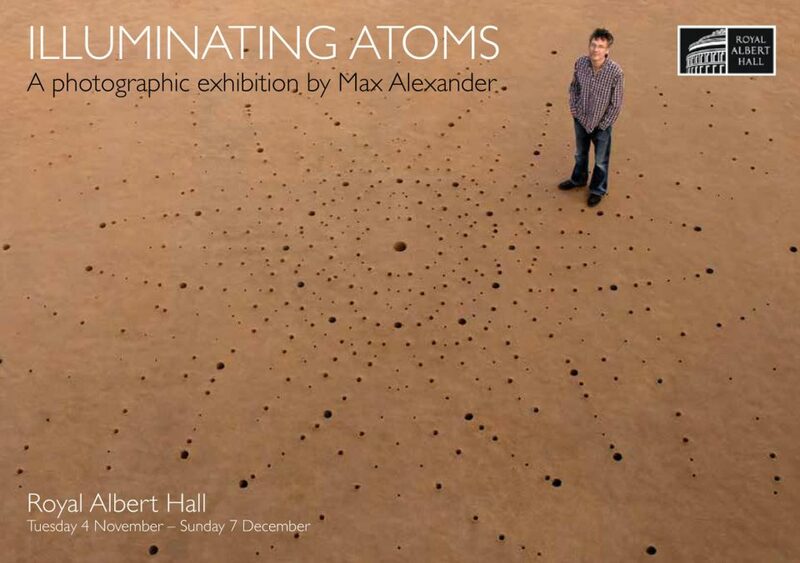 My Illuminating Atoms exhibition, for STFC and other sponsors, for the International Year of Astronomy 2014, first shown at the Royal Albert Hall in London and on tour around the UK. To celebrate the International Year of Crystallography, ILLUMINATING ATOMS presents a selection of photographs by Max Alexander portraying the inspirational work of crystallographers. Through portrait and documentary photography, Max shows us the life of scientists at the cutting edge of discovery, including some of the world-class facilities they use. 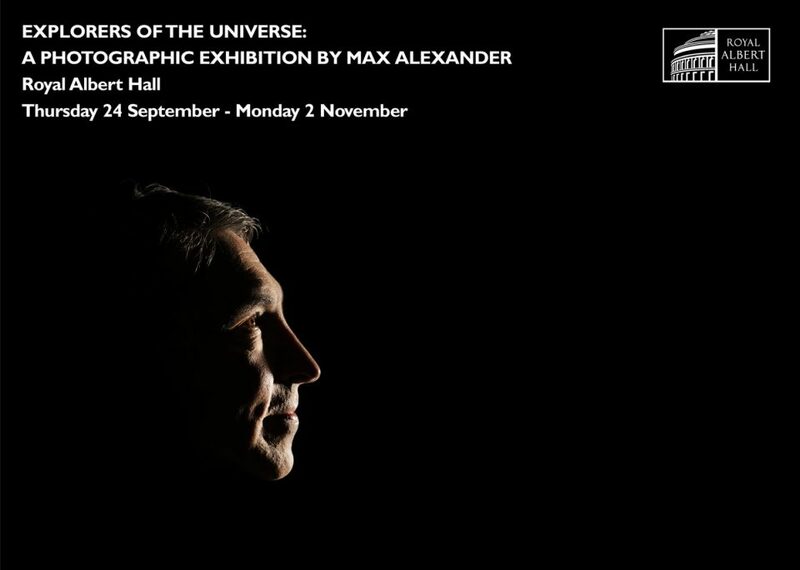 This is Max Alexander’s second exhibition at the Royal Albert Hall, the first being Explorers of the Universe in 2009. STFC is proud to sponsor the Illuminating Atoms exhibit along with co-sponsors The Diamond Light Source Ltd, the Wellcome Trust, GlaxoSmithKline (GSK), Astra Zeneca and Pharmorphix. 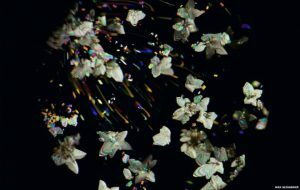 Crystallography reveals the atomic structure of materials, from minerals to magnets to viruses, and it underpins many of the biggest scientific discoveries of the past 100 years, including the chemical structures of antibiotics and DNA. By exposing a crystal to a beam of X-rays, neutrons or electrons, it is possible to obtain the characteristic ‘diffraction’ pattern of a material and work out where the atoms are located inside the crystal. The technique of X-ray crystallography was first established in 1913 by William and Lawrence Bragg, a father and son team who were awarded the 1915 Nobel Prize for Physics for their work. UK crystallographers have always led the world in chemical, physical and biological sciences, with significant contributions in studies of disease, catalysts, batteries and climate change. Women scientists are also strongly represented with Rosalind Franklin and Dorothy Hodgkin amongst many successful British female crystallographers. As part of the exhibition we are also presenting a talk and Q&A, How Crystallography Changed the World on Sunday 9 November. 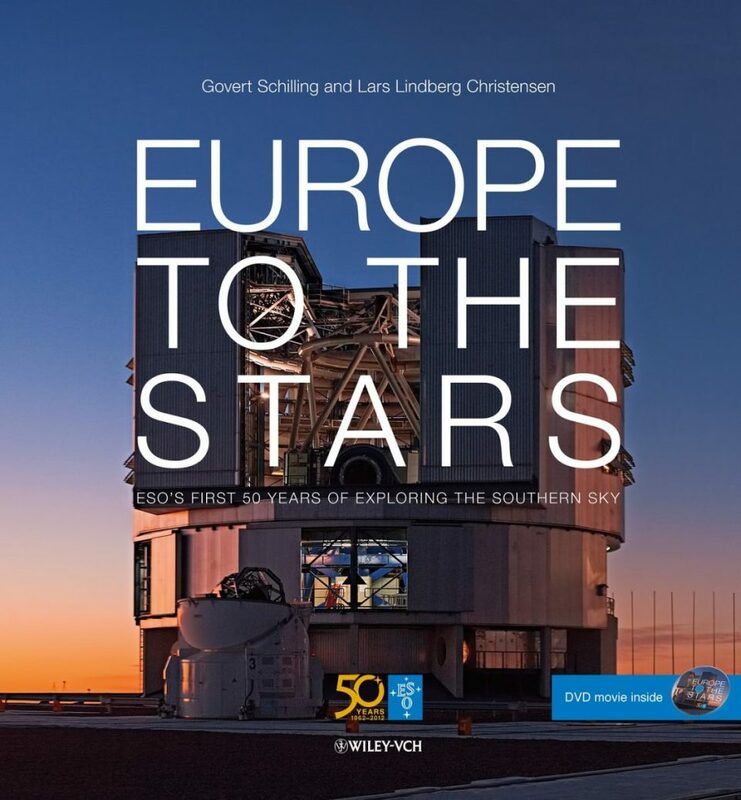 To commemorate the 50th anniversary of the European Southern Observatory, Europe to the Stars — ESO’s first 50 years of Exploring the Southern Sky, written by Lars Lindberg Christensen and Govert Schilling, has been published, featuring many of my photographs taken at their Chile observatories earlier this year. There is also a documentary to accompany the book. ESO is Europe’s portal to the stars. Here astronomers from fifteen countries join forces to unravel the secrets of the Universe by building the largest telescopes on Earth, designing sensitive cameras and instruments and scrutinising the heavens. Their work has looked at objects near and far, from comets traversing the Solar System, to distant galaxies at the very edge of space and time, giving us fresh insights and an unprecedented view of the Universe. It all began in 1962 with the signing of the ESO Convention — the culmination of the dream of leading astronomers from five European countries, Belgium, France, Germany, the Netherlands and Sweden. Fifty years later, their original hopes have not only become reality but ESO has fully taken up the challenge of its mission. To celebrate its 50th anniversary year, ESO is releasing a sumptuously illustrated coffee-table book called Europe to the Stars — ESO’s first 50 years of exploring the southern sky, together with an anniversary documentary. For other products and events organised with the occasion of ESO’s 50th anniversary, visit the ESO 50 years webpage. I took most of the photographs on the below video, which was a commission for ESO of their Chile observatories, for their 50th anniversary publications, including that It was amazing to be working at 5,000 metres with oxygen under the Milky Way at the ALMA observatory. On the occasion of its 50th anniversary, the European Southern Observatory (ESO) is releasing a video named Tribute to ESO’s Unsung Heroes, dedicated to its members of the staff, past and present — the people that through their passion, dedication and professionalism have taken ESO from a bold dream back in 1962 to the reality of the most productive ground-based observatory today. Although they often remain behind the scenes, these are the people who, through their everyday work, bring the organisation forward and contribute to achieving its ambitious programmes. From administrative staff and guides to cooks and drivers, from astronomers to engineers, everyone at ESO is an unsung hero. We invite you to meet some of them in this movie. The video is composed of a set of images most of which were taken by award-winning editorial and commercial photographer Max Alexander, who was visiting the ESO sites for a project dedicated to ESO’s anniversary. The video was first shown during an anniversary staff party held on 11 September 2012 at ESO’s Headquarters in Germany. The music is composed by John Stanford. 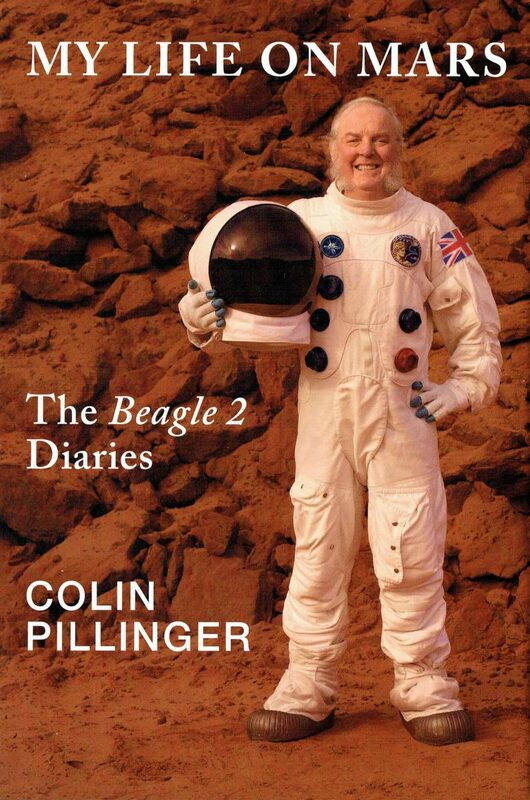 My portrait of space scientist Professor Colin Pillinger has been used on the cover of his book, My Life on Mars – which was launched on a rocket! My Explorers of the Universe exhibition has been on tour, showing at the Centre for Life in Newcastle, Glasgow Science Centre, Blackrock Castle Observatory in Cork (Ireland), Space City, Portsmouth. It is now at the National Museum of Wales in Cardiff, with the Planck and Herschel satellites. A PAIR of city astronomers are among the stars of a new international photographic exhibition that has gone on show in Cardiff. Acclaimed photographer Max Alexander spent a year capturing the personalities of both professional and amateur astronomers through portraits highlighting the value of discoveries and the minds behind them. The Explorers of the Universe exhibition includes images of Cardiff University researchers Professor Derek Ward-Thompson and Dr Haley Gomez, alongside the likes of Professor Stephen Hawking and Sir Patrick Moore. 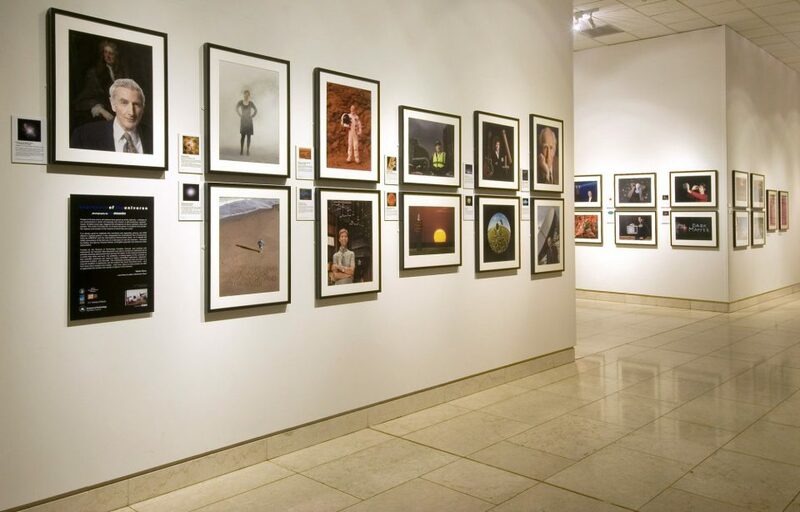 The photographs are being exhibited at Cardiff’s National Museum, having originally opened at London’s Royal Albert Hall and travelled as far afield as the Netherlands. Mr Alexander photographed Prof Ward-Thompson, who studies how stars and planets came into being, at Cardiff University by the dome of a new telescope. The second Cardiff portrait subject, Dr Gomez, is one of a generation of young scientists researching the thin mist of gas and dust between stars. He added: “I hope that viewers will be enlightened and uplifted by this extraordinary, committed group of people and what they discover about the universe. Dr Gomez said: “Max has really captured the personalities behind the big science questions with these photographs. It’s great to show the public that astronomers are ordinary people from all walks of life, and above all passionate about what they do. “What Max has done that is really, really good is to try to interpret what we do in our jobs in a photograph. In the photographs you try to figure out what they are interested in – some are really arty and beautiful, some are really obvious. 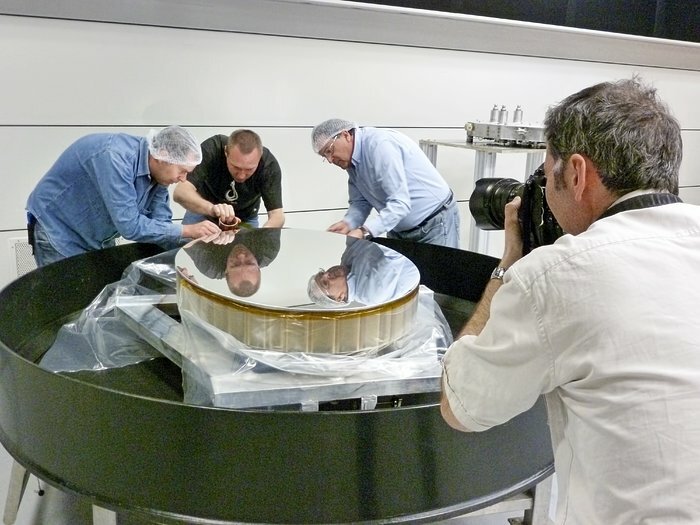 Accompanying the portraits are large models of the Herschel space observatory, which explores the universe with infrared wavelengths, and the Planck space observatory, which maps remaining radiation from the Big Bang. Both Dr Gomez and Prof Ward-Thompson are heavily involved in both missions. From the formation of stars and planets to the behaviour of the largest groups of galaxies, Prof Ward-Thompson’s work on Herschel has helped provide images of the universe in unprecedented detail. Dr Gomez, meanwhile, is among a team of scientists from South Wales which has helped prove that ultraviolet starlight is a key ingredient for making water in the atmosphere of some stars. 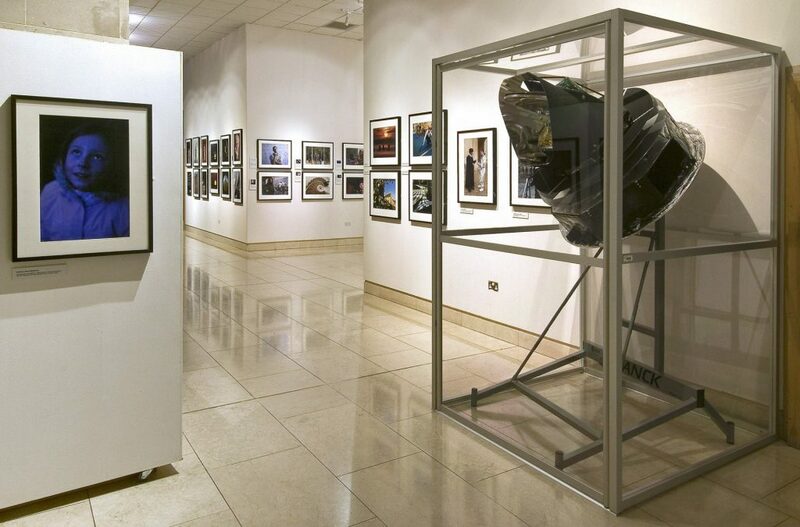 Explorers of the Universe runs until November 28 at the National Museum in Cathays Park. There will be an opportunity to hear from Max, Dr Gomez and other Cardiff University researchers on Saturday at 1pm. 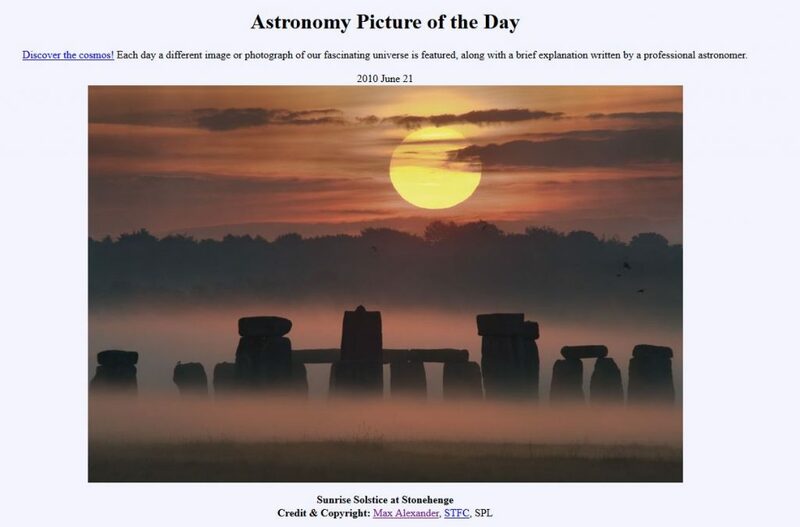 Delighted to say I have NASA’s Astronomy Picture of the Day, which was also selected for their best of the year. Explanation: Today the Sun reaches its northernmost point in planet Earth’s sky. Called a solstice, the date traditionally marks a change of seasons — from spring to summer in Earth’s Northern Hemisphere and from fall to winter in Earth’s Southern Hemisphere. 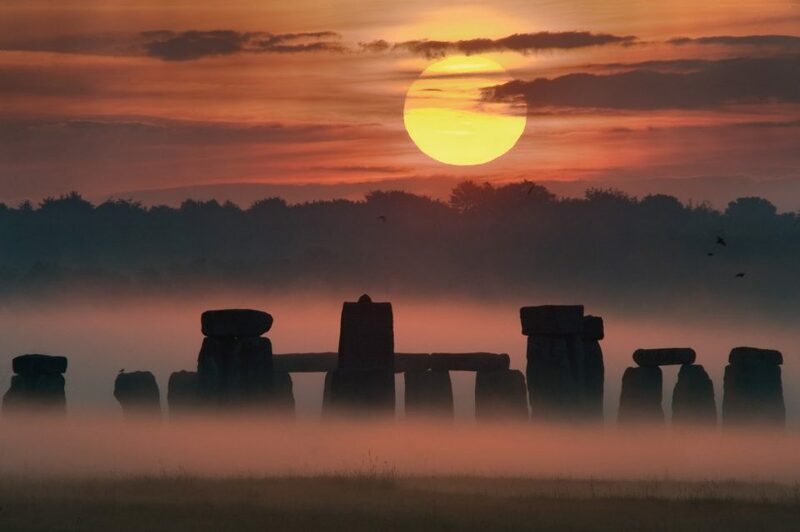 The above image was taken during the week of the 2008 summer solstice at Stonehenge in United Kingdom, and captures a picturesque sunrise involving fog, trees, clouds, stones placed about 4,500 years ago, and a 5 billion year old large glowing orb. Even given the precession of the Earth’s rotational axis over the millennia, the Sun continues to rise over Stonehenge in an astronomically significant way. 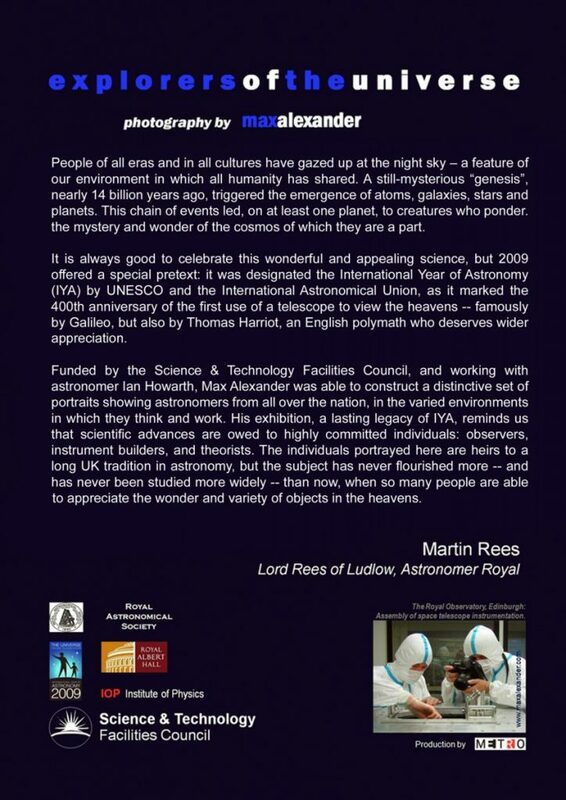 My Explorers of the Universe exhibition, for STFC and the International Year of Astronomy 2009, first shown at the Royal Albert Hall in London and on tour around the UK. Queen guitarist and astrophysicist Brian May’s stereoscopic photographs were part of this exhibition. Over 100,000 people saw the exhibition and there were over two million hits on my website during the Albert Hall run – and it is covered here by the BBC.